How can a 38-foot cruising boat feel more like a 45-foot cruising boat? 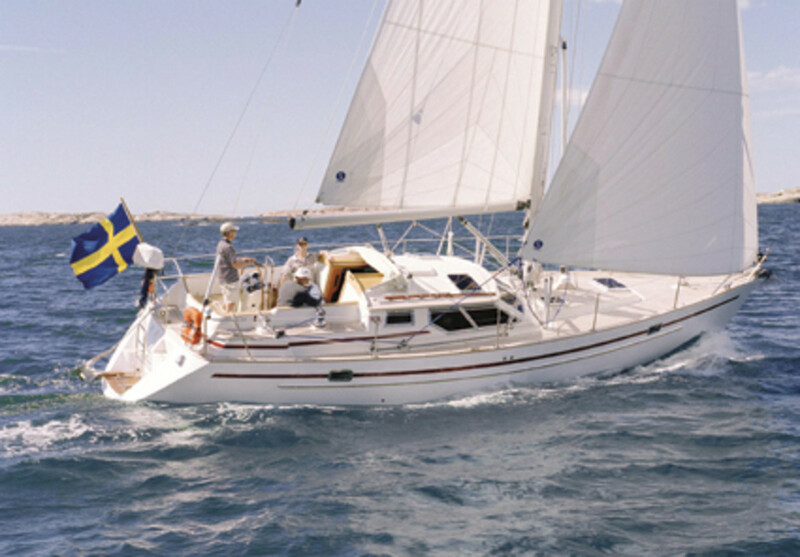 The Regina 38 is a Swedish import that answers that question, making this pilothouse cruiser an attractive new addition to the sailboat markets growing segment of mid-size cruising boats. While many sailboats with a too-big pilothouse feel cramped on deck, the Regina 38s pilothouse is the right size. How can a 38-foot cruising boat feel more like a 45-foot cruising boat? The Regina 38 is a Swedish import that answers that question, making this pilothouse cruiser an attractive new addition to the sailboat market’s growing segment of mid-size cruising boats. While many sailboats with a too-big pilothouse feel cramped on deck, the Regina 38’s pilothouse is the right size. There is plenty of room in the cockpit, mainly because a smallish offset wheel wraps itself around the helm station and stays out of the way of people moving fore and aft. Down below, the saloon affords a 270-degree view while you’re sitting at the dining table. All the interior woodwork is various shades of mahogany, and the boat’s interior and accommodations are voluminous without feeling cavernous or busy. During my test off Portland, Maine, the Regina 38 performed well when the wind got over 15 knots. Beating into a moderate chop was no big deal, especially with the high freeboard keeping any spray well away from the helm station. In 15 knots of breeze, the Regina attained speeds of around 6 knots and tacked through 95 degrees. With that same wind abeam she easily topped 7 knots. And when it gusted up to 20 knots, she surged as much as another knot faster on both points of sail. Throughout, the Regina was comfortable, with little feeling of significant motion in either the cockpit or the main saloon.